If you want to explore the world but planning a multi-city vacation seems overwhelming, Eightydays is the app for you. 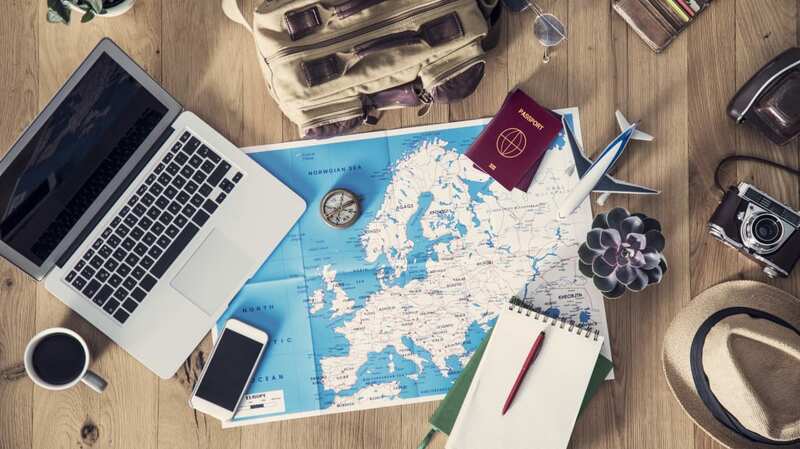 The service, which we spotted via Travel + Leisure, is designed to help you decide where to go on your vacation and how to get there by auto-generating potential travel itineraries. And it can help you do it cheaply. 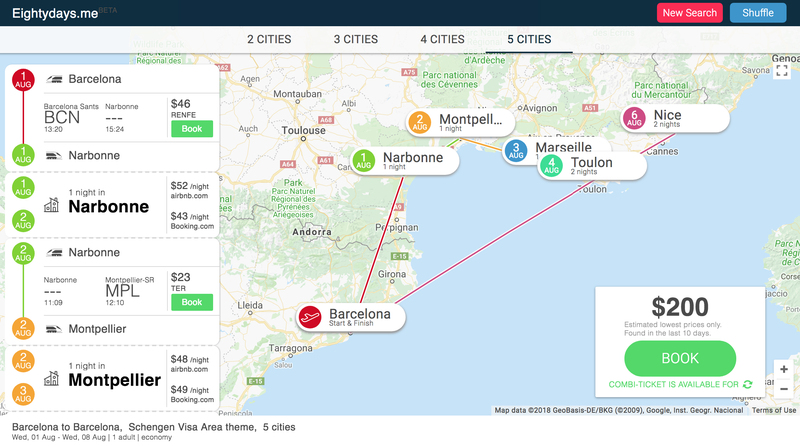 Eightydays uses an algorithm to generate potential travel itineraries to get you between major cities in North America, Europe, Asia, and Australia, finding you flights and trains that will be both budget-friendly and convenient. And it does it more or less instantly, saving you the time and hassle of sorting through travel times or staring at maps. The algorithm excludes remote airports that are far from cities and limits choices to direct flights and trains, making sure you spend the bulk of your time exploring, not sitting in transit. It also limits departure times so that you don't have to wake up at 3 a.m. to make your flight. You can choose to stay in up to six cities in one trip, or limit your itinerary to just a few different destinations. It provides links to buy tickets from Kiwi.com and suggestions for accommodations from sites like Airbnb and Booking.com. If you don't like the initial destination suggestions, you can hit "shuffle," and it will suggest a different itinerary. If you aren't the most creative trip-planner, Eightydays can help you find destinations beyond the basic cities on every world traveler's bucket list. To test it out, I asked the app to find me destinations around Europe between August 1 and 8, starting in Barcelona. It suggested I hit up Narbonne, Montpellier, Marseille, Toulon, and Nice, all for a total of $200 in train tickets. On a second try, it suggested my Barcelona vacation include stops in Stuttgart, Strasbourg, Metz, Luxembourg, and Cologne instead, for a total of $242 in air and train fare. These are definitely not cities I would immediately think to visit if I were planning on my own, but they're relatively cheap and easy to get to from my preferred starting point. There are some limitations. You have to start and end in the same city, and it won't create an itinerary for more than 20 days or more than six cities. But if you're looking to see as many places as you can on a limited budget and a limited timetable, Eightydays is a simple way to do it. Get it for iOS here, or browse online at eightydays.me.